It has been rather hectic around here, and somehow posting on the blog fell by the wayside. There hasn’t been a lot to post anyway, as crafting time has been scarce. But today I finally had the house to myself – my husband pulled all the kid duty driving back and forth to sports and birthdays. The man knows I need the occasional day to myself to stay sane. So there was sewing! I finished the X block quilt top at last. Over the last couple weeks in odd moments of time I added white around each block to make them 14″ square. I also made four half blocks to fill in the ends of the staggered rows. I added another white border all the way around, and then a randomly pieced border in the two reds to finish it off. The photos required standing on a bucket in the driveway – the backyard was in shadow by the time I finished so it was the only sunshine left. I really need to work on my photography one of these days. I’m really pleased with how it turned out. I love the vivid colors and the variety in the blocks. Deciding how to quilt it is going to take some mulling. I want the Xs to stand out, but the thought of outlining each of them is a little daunting. That is a lot of twisting and turning bulky material through the machine harp! I don’t have the backing fabric yet, so there is so time to think about it. Two other quilt tops are in front of it in the quilting line as well. But I’m happy to have another finished project to cross off the list. Next up is the next mystery quilt clue, the last one in the QAL. Red and white blocks finished! 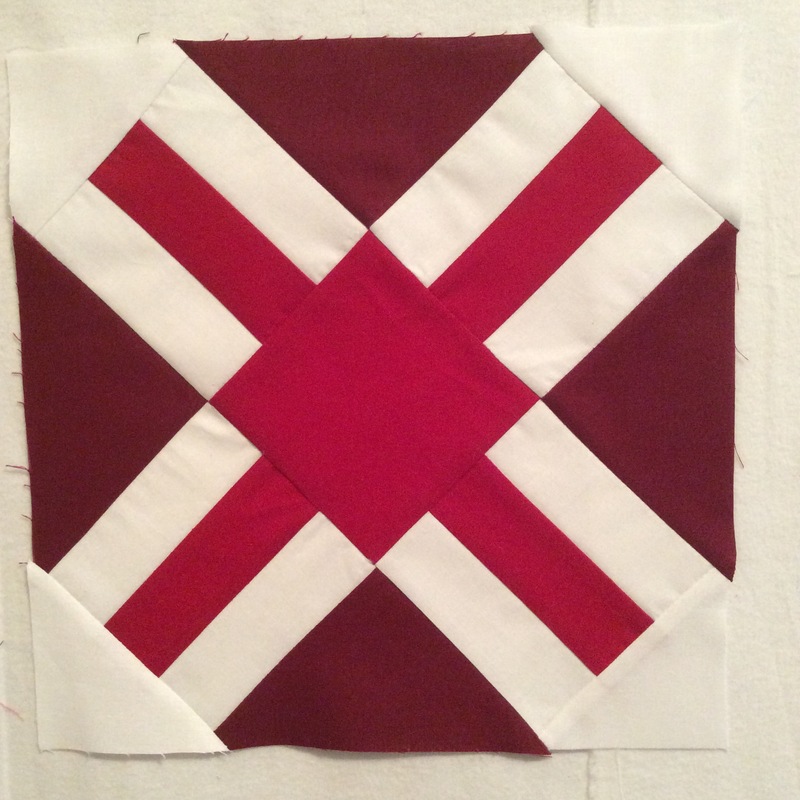 I have finished making all the red and white blocks for my X sampler quilt! As I have been, I made some changes to the color schemes as I went along to emphasize the X shapes. Card basket and chuck a luck (can’t stop saying that) were changed the most, to get rid of colors in the corners and to stick to only two reds. The next step is to make all the blocks the same size. They are between 10 and 11 inches now, so I’m going to get them all to 14″. There will also be a red border of some kind. I have ideas in my head for that but nothing concrete yet. It lacks a certain appeal, doesn’t it. As always, all of the blocks for the quilt have come from this book. The plan is to eventually make them all for various quilts – that will be quite the stack of blankets if I achieve it. The previous X block posts can be found here. 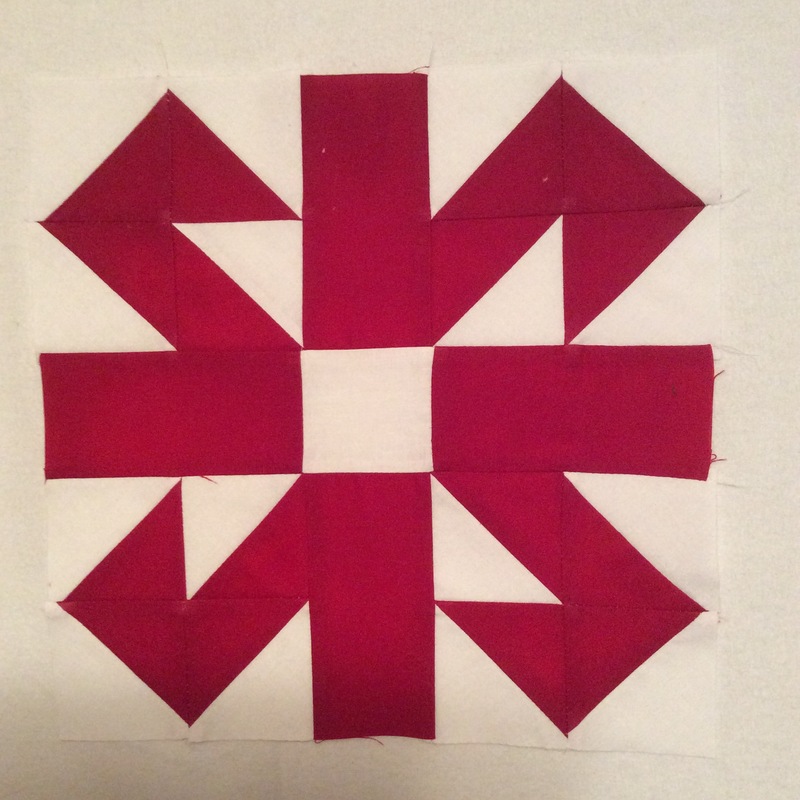 Posted on April 15, 2016 April 15, 2016 Categories QuiltsTags Red and white, X block9 Comments on Red and white blocks finished! I’m continuing, slowly and in odd moments, to add to the red and white X blocks. I edited this one in several ways – I used two reds instead of one, made the corners white to emphasize the X instead of using red as the block pattern called for, and I also made the center red instead of white. Info about the previous blocks are in these posts. My progress so far: just over half way there unless I decide to go larger than twin. I still need to play with the layout once the blocks are all done, and add the block edges to bring them all up to 14″ blocks. I think there will be a border as well. I’m winging this one, so decisions will change I’m sure. 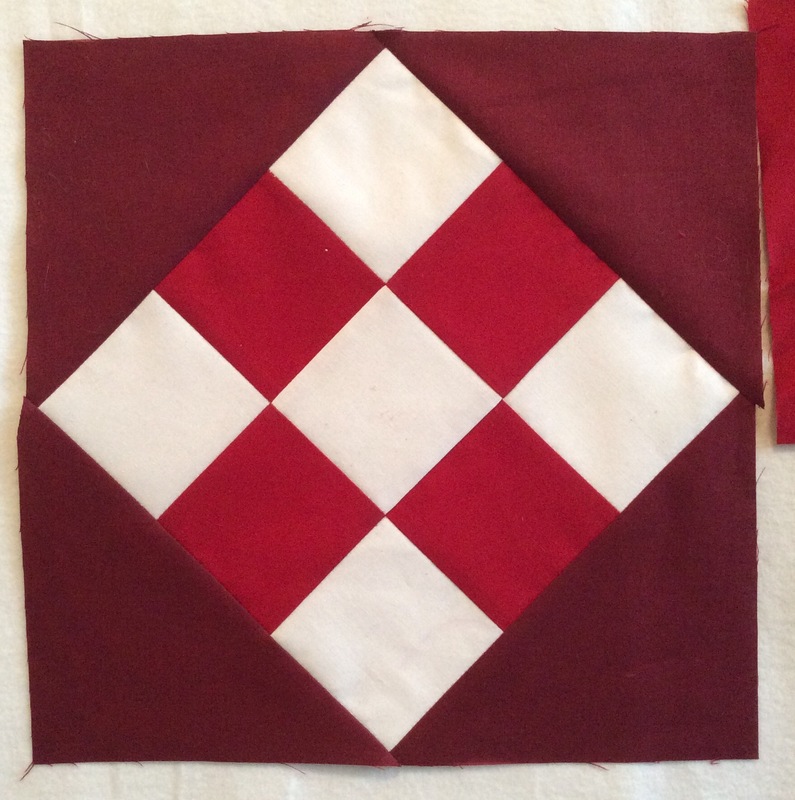 Three more finished blocks for the red and white Xs quilt. At some point I’m going to have to come up with a plan to compensate for the fact that some of these blocks finish at 10″ and some at 10 1/2″ but in the meantime it is fun to find all the different ways to make an X block. 12 down, 489 to go! Previous blocks are here (8 & 9), here (6 & 7), here (4 & 5), here (2 & 3), and here (1). New blocks for the long neglected WIP of red and white X blocks. It took two tries as once again I couldn’t tell the difference between my different 4″+ measurements. Not sure what the mental block is with the 4s.